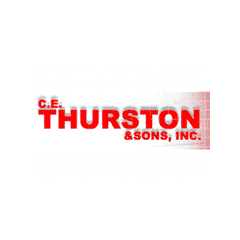 C. E. Thurston started the C. E. Thurston Company in 1919 to provide contracting services for mechanical packing manufacturers in the southern part of Virginia. The company quickly added insulation contracting to its business, offering distribution, installation, repair, and removal services. Unfortunately for C. E. Thurston, the companies it worked with manufactured asbestos-containing insulation, and it grew to be one of the rare examples of a company that was involved in asbestos litigation without ever manufacturing an asbestos-containing product. Its liability stems from allowing former workers to handle other companies’ asbestos products while knowing it was hazardous. With business booming, the company became C. E. Thurston & Sons in 1946 and steadily expanded its contracting services throughout Virginia. In 1991, Thurston acquired the South Carolina insulation contractor Mechanical Insulation Services, Inc. One year later, the company acquired North Carolina-based Ambrose Insulation Company. Although these acquisitions showed growth for the company, it was forced to file bankruptcy in 2003 because of impending asbestos claims. After emerging from bankruptcy in 2006, the company was still conducting business in 13 states. Today, Thurston provides contracting services including asbestos and lead abatement, insulation and cold storage. The company serves customers in commercial, industrial, marine, power, pulp, and chemical industries and has kept its headquarters in Norfolk, Virginia. C. E. Thurston & Sons defended thousands of asbestos-related lawsuits over the years from its involvement with the handling and distribution of asbestos products. To manage asbestos claims, Thurston and 33 other companies entered into an “Agreement Concerning Asbestos-Related Claims,” otherwise known as the Wellington Agreement. This 1985 agreement created the Asbestos Claims Facility to evaluate, defend and settle personal injury claims related to asbestos. The Wellington Agreement lasted for two years before some companies withdrew and forced the suspension of the agreement. A similar entity, the Center for Claims Resolution (CCR), was formed shortly after the cessation of the Wellington Agreement. The CCR continued until 2001, at which point Thurston handled claims on its own. But in 2003, the company filed for bankruptcy and didn’t reorganize until 2006. Its bankruptcy and reorganization created the C.E. Thurston & Sons Asbestos Trust, which remains active and handles current and future asbestos-related claims. Exposed to Asbestos at C. E. Thurston & Sons? In 1997, prior to filing bankruptcy, the company was part of a precedent-setting asbestos case that centered on the Federal Enclave Clause, which protects government lands from being sued in asbestos litigation. In McCormick v. C. E. Thurston & Sons, the wife of Paul C. Cochran filed a wrongful death lawsuit on his behalf. Cochran died from mesothelioma cancer after being exposed to asbestos while serving aboard the USS Nimitz. The USS Nimitz was docked at Norfolk Naval Base (considered a federal enclave) for part of its tour, but the plaintiff argued that a Navy vessel cannot be considered a federal enclave. The court agreed. The decision made it clear that defendants of asbestos litigation involving Navy vessels could not remove themselves from cases by claiming circumstances under the Federal Enclave Clause. The case is oft-cited in current asbestos lawsuits. In January 2012, the Thurston trust was temporarily suspended while the trust committee reviewed the payment percentage of claims. By May 2012, the suspension was removed and the revised payment percentage was set to 25 percent. This revision was made so the trust could handle future asbestos claims. Although Thurston did not manufacture asbestos-containing products, they did employ workers to distribute and handle asbestos insulation even after the hazards of asbestos were well established. As a result, many of their former employees have developed asbestos-related diseases like mesothelioma, asbestosis and lung cancer. A 2018 review published Environmental Health shows insulation workers had one of the highest mortality rates among asbestos-exposed Italian shipyard workers employed between 1960 and 1981. Insulation installers and removers who worked with asbestos-containing insulation products are considered high-risk to develop mesothelioma or other asbestos-related diseases. Because Thurston primarily worked with insulation, insulators for the company faced high risks for asbestos exposure. Workers did not wear protective equipment to prevent exposure, and such work unavoidably causes asbestos fibers to become airborne. Anyone who worked with asbestos products distributed by C. E. Thurston, even well after they were installed, faced exposure risks as well. At the time when the company was distributing and installing large amounts of asbestos insulation, the shipbuilding industry was booming. Asbestos products were commonly used on ships and C. E. Thurston had a close business relationship with the Norfolk Naval Shipyard. Former employees of this yard likely came in contact with asbestos insulation installed by C. E. Thurston employees.